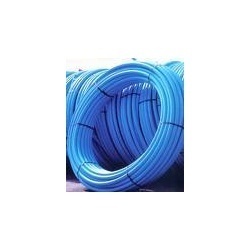 We are engaged in offering, a comprehensive range of HDPE / MDPE Pipes that is manufactured using premium quality raw material procured form the reliable sources. Our is available in different sizes starts from 20 mm O.D. To 630 mm O.D., and is highly appreciated by the clients due to its features such as durability, dimensional accuracy, light in weight and rustproof. Apart from this, we also offer customization to our patrons as per the specification detailed by them. We are offering our clients, an exhaustive range of MDPE Plastic Pipes that is fabricated using high grade raw material acquired form the trustworthy sources. 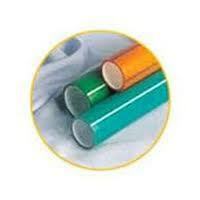 These are widely used in Irrigation, Agriculture, Horticulture, Floriculture and Drainage. Our range is designed at par with international quality parameters and is demanded by the clients due to its features like durability, sturdiness, corrosion resistance and excellent performance. In order to gain optimum client satisfaction, we offer customization of the products as per the specifications given by the clients. Pressure Rating: From 2.5 Kg/sq. cm. to 16 kg/ sq. cm. Our clients can avail from us, an exhaustive range of MDPE Pressure Pipes that is manufactured using quality raw material sourced from the reliable vendors. Our range is highly appreciated by our clients around the globe, and is available in different sizes, thicknesses and specifications. 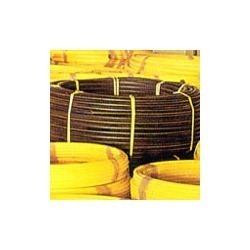 These are widely used in various industries for irrigation, drainage, water supply and for various applications.